For the Argentine comics artist of the same name, see Francisco Solano López (comics). This name uses Spanish naming customs: the first or paternal family name is López and the second or maternal family name is Carrillo. Francisco Solano López (24 July 1827 – 1 March 1870) was President of Paraguay from 1862 until his death in 1870. He was the eldest son of Juana Pabla Carrillo and the president Carlos Antonio López, who had left his son a prosperous nation. Francisco Solano López is one of the most controversial figures in Latin American history, particularly because of the Paraguayan War, known in the Plate Basin as "Guerra de la Triple Alianza". From one perspective, his ambitions were the main reason for the outbreak of the war while other arguments maintain he was a fierce champion of the independence of South American nations against foreign rule and interests. He resisted until the very end and was killed in action during the Battle of Cerro Corá, which marked the end of the war. Solano López was born in Manorá, a barrio of Asunción in 1827. 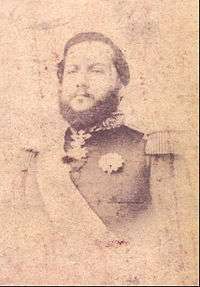 His father, Carlos Antonio Lopez, ascended to the Paraguayan Presidency in 1841 following the death of the nation's longtime dictator, José Gaspar Rodríguez de Francia. 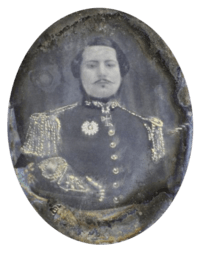 The elder Lopez would commission his son as a Brigadier General in the Paraguayan Army, at the age of 18, in 1844. 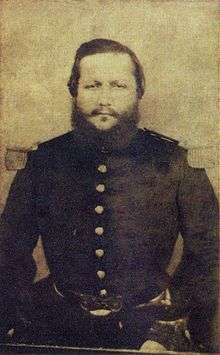 During the spasmodic hostilities then prevailing within Argentina, Solano Lopez was appointed commander-in-chief of Paraguayan forces stationed along the Argentine frontier. He pursued his early military studies in Rio de Janeiro and Asunción (his teacher being General Hermenegildo de Albuquerque Porto Carrero) specializing in fortifications and artillery. Brigadier General Francisco Solano López, envoy extraordinary and minister plenipotentiary of the Republic of Paraguay. Solano Lopez was dispatched to Europe in 1853 as minister plenipotentiary to Great Britain, France, and the Kingdom of Sardinia. Lopez went on to spend over a year and a half in Europe, most of it in Paris, where he attended military classes as a guest student in the École spéciale militaire de Saint-Cyr, drawing the attention of Napoleon III, who decorated him with the Order of the Legion of Honour for his military skills. He also served as a foreign military observer during the Crimean War. He purchased large quantities of arms and military supplies, together with several steamers, on behalf of the Paraguayan military. 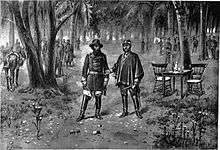 He also modernized the Paraguayan Army with the novelties he acquired in Europe, adopting the French Code and the Prussian System of military organization (receiving some praise for this innovation many years later). His diplomatic work also included organizing a project to build a new railroad and efforts to establish a French émigré colony in Paraguay. He installed the first electric telegraph in South America. Lopez also became a great admirer of the French Second Empire and developed a fascination with Napoleon Bonaparte. López later equipped his army with uniforms designed to match those of the Grande Armée and it was said that he also ordered for himself an exact replica of Napoleon's crown., yet this remains unproven. It was also during his time in France that Solano Lopez met a Parisian courtesan, the Irish-born Eliza Lynch, and brought her with him back to Paraguay. There she was his concubine and de facto first lady till his death. 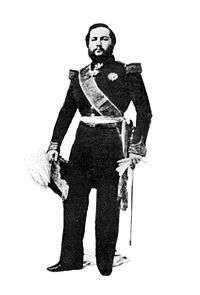 Solano López returned from Europe in 1855 and was appointed to his father's cabinet as Minister of War. He was elevated to the office of Vice President in 1857. 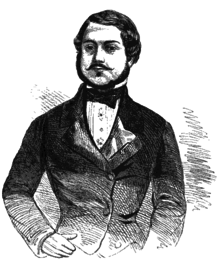 In November 1859, López was on board the war steamer Tacuari, which was attacked by British Royal Navy ships attempting to pressure his father into releasing a British citizen from prison. The British consul who ordered the attack was Sir William Dougal Christie, later replaced by Edward Thornton who personally supported Argentina in the War of the Triple Alliance. With his father's death in 1862, López convened Congress and was unanimously proclaimed President of Paraguay for a term of ten years. The Throne: López and his Cabinet (from the left to te right: Gonzáles, Sánchez, López, Berges e Venancio López). After taking office, López opted to continue most of the policies of economic protectionism and internal development adopted by his predecessors. However, he broke sharply with the traditional policy of strict isolationism in foreign affairs that was favored by previous Paraguayan leaders. López instead embarked on a more activist approach to international policy. He had, as his great ambition, to strategically position Paraguay enough to represent a credible “third force” in the ongoing political and military rivalry between Argentina and Brazil over the Rio de la Plata Basin. López wanted Paraguay to compete with the continent's major powers in the struggle for spoils and regional dominance. In pursuit of this goal López sought to organize the region’s smaller nations into a political coalition designed to off-set the power and influence of the Brazilians and the Argentines. López found an eager ally in President of Uruguay Bernardo Berro, another leader whose country was frequently menaced by the various intrigues of the continent's two great powers. Berro and López would quickly conclude an alliance and López would begin a massive expansion and reorganization of the Paraguayan military, introducing mandatory military service for all men along with other reforms. Under López, Paraguay grew to possess the best-trained and well-equipped military in the region. See also Fortress of Humaitá. In 1863, Brazil – which did not have friendly relations with Paraguay – began materially and politically supporting an incipient rebellion in Uruguay led by Venancio Flores and his Colorado Party supporters against the Blanco Party governments of Berro and his successor, Atanasio Aguirre. The besieged Uruguayans repeatedly asked for military assistance from their Paraguayan allies against the Brazilian-backed rebels. López manifested his support for Aguirre's government via a letter to Brazil, in which he said that any occupation of Uruguayan lands by Brazil would be considered as an attack on Paraguay. When Brazil did not heed the letter and invaded Uruguay on 12 October 1864, López seized the Brazilian merchant steamer Marqués de Olinda in the harbor of Asunción and imprisoned the Brazilian governor of the province of Mato Grosso, who was on board. In the following month (December 1864) Lopez formally declared war on Brazil and dispatched a force to invade Mato Grosso. The force seized and sacked the town of Corumbá and took possession of the province and its diamond mines, together with an immense quantity of arms and ammunition, including enough gunpowder to last the whole Paraguayan Army for at least a year of active war. However, Paraguayan forces could not or would not seize the capital city of Cuiabá, in northern Mato Grosso. López next intended to send troops to Uruguay to support the government of Atanasio Aguirre, yet when he requested permission from Argentina to cross Argentine soil, Argentine President Bartolomé Mitre refused to allow the Paraguayan force to cross the intervening Argentine province of Corrientes. By this time the Brazilians had managed to successfully topple Aguirre and install their ally Venancio Flores as President, rendering Uruguay little more than a Brazilian puppet state. The Paraguayan Congress, summoned by López, bestowed him the title of "Marshal-President" of the Paraguayan Armies (an equivalent of Grand Marshal, he was the only Paraguayan who gained that rank in his own lifetime) and gave him extraordinary war powers. On 13 April 1865, he declared war on Argentina, seizing two Argentine war vessels in the Bay of Corrientes. The next day, he occupied the town of Corrientes, instituted a provisional government of his Argentine partisans, and announced that Paraguay had annexed Corrientes Province and Argentina's Entre Ríos Province. 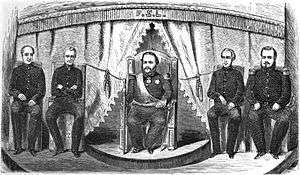 On 1 May 1865, Brazil joined Argentina and Uruguay in signing the Treaty of the Triple Alliance, which stipulated that they should unitedly pursue war with Paraguay until the existing government of Paraguay was overthrown and "until no arms or elements of war should be left to it." This agreement was literally carried out. This treaty also stipulated that more than half of the Paraguayan territories would be conquered by the Allies after the war. The treaty, when made public, caused international outrage and voices rose in favour of Paraguay. The war which ensued, lasting until 1 March 1870, was carried on with great stubbornness and with alternating fortunes, though López's disasters steadily increased. His first major setback came on June 11, 1865, when the powerful Paraguayan fleet was destroyed by the Brazilian Navy at the Battle of Riachuelo, which gave the Allies control over the various waterways surrounding Paraguay and forced Lopez to withdraw from Argentina. On 12 September 1866, López invited Mitre to a conference in Yatayty Corá. López believed that the time was right to treat for peace and was ready to sign a peace treaty with the Allies. No agreement was reached though since Mitre's conditions for rendition were that every article of the Secret Treaty of the Triple Alliance was still to be carried out, a condition which López refused. Regardless of López's refusal, a peace treaty was not something Mitre could guarantee since article six in the secret treaty stated that "The allies solemnly commit themselves not to abandon arms unless commonly agreed, and as long as they haven’t overthrown the current government of Paraguay, as well as not to try separately, nor sign any peace treaty, truce, armistice which would put an end to or suspend the war, unless agreed by all parties". This not only rendered any possibility of truce or peace nearly impossible but also stipulated that the war was to continue until the current government ceased to be, which meant the deposition of López. In 1868, when the allies were pressing him hard, he convinced himself that his Paraguayan supporters had actually formed a conspiracy against his life. 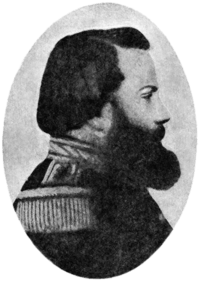 Thereupon, several hundred prominent Paraguayan citizens were seized and executed by his order, including his brothers and brothers-in-law, cabinet ministers, judges, prefects, military officers, bishops and priests, and nine-tenths of the civil officers, together with more than two hundred foreigners, among them several members of the diplomatic legations (the San Fernando massacres). During this time, he also had his 70-year-old mother flogged and ordered her execution, because she revealed to him that he had been born out of wedlock. López was at last driven with a handful of troops to the northern frontier of Paraguay. He arrived at Cerro Corá on 14 February 1870. Two detachments were sent in pursuit of Solano López, who was accompanied by 200 men in the forests in the north, where he received news of the considerable Brazilian forces that were closing in on him. This caused some of the officials who were still with López to abandon him and approach the allied force, under the command of the Brazilian General José Antônio Correia da Câmara, which they readily joined as scouts in order to lead them to López. Upon hearing about this, López called a last war council with the remaining officers of his general staff in order to decide the course of action for the upcoming battle: whether they should escape into the hill range or stay and make a stand against the attackers. The council decided to stay and end the war once and for all by fighting to the death. 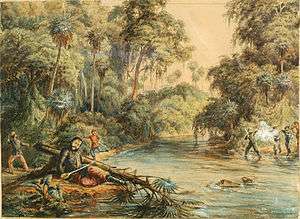 The Brazilian force reached the camp on the 1 March. During the battle that ensued, López was separated from the remainder of his army and was accompanied by only his aide and a couple of officers. He had been wounded with a spear in the stomach and hit with a sword in the side of his head and so was too weak to walk by himself. They led him to the Aquidabangui stream, and there they left him on the pretext of getting reinforcements. While Lopez was alone with his aide, General Câmara arrived along with six soldiers and approached him, calling on him to surrender and guaranteeing his life. López refused and shouting ¡Muero con mi patria!, (I die with my nation), tried to attack Câmara with his sword. Câmara ordered him to be disarmed, but López died during the struggle with the soldiers who were trying to disarm him. This incident marked the end of the war of the Triple Alliance. There is a debate within Paraguay as to whether he was a fearless leader who led his troops to the end, or whether he foolishly led Paraguay into a war which it could never possibly win, and which nearly eliminated the country from the map. This debate was not helped by the revisionist stance taken by the Stroessner regime, regarding national history. Conversely, he is considered by some Latin Americans as a champion for the rights of smaller nations against the imperialism of more powerful neighbors. For example, Eduardo Galeano argues that he and his father continued the work of José Gaspar Rodríguez de Francia in defending Paraguay as "the only country that foreign capital had not deformed". Marshal López died profoundly convinced that, along with him, the independence of Paraguay would disappear. 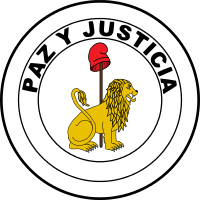 He acquired this conviction upon learning that the allies had organized in Asuncion a "temporary government" made up of the Paraguayans who had taken arms against their government and fought for the Triple Alliance army. Death of Francisco Solano López in River Aquidabán, during the Battle of Cerro Corá. 1 March is a national holiday in Paraguay, called "Dia de los Heroes" (Heroes' Day), held in honor of López's memory. It is the most important holiday in the country next to the independence day. To date, López is considered to be the greatest Paraguayan national hero and his remains are located at the "Panteon de los Heroes" (National Pantheon of the Heroes) in Asunción. It is customary in Asunción that when something historically worth celebrating happens (such as the victory of the former President Lugo in the 2008 elections), people flock with their flags to the street in front of the Pantheon and celebrate the event. Marshall López inspired in his men a spirit and love for their land which made them prefer to die rather than surrendering. He is an example of what a leader is, a driver, a man who knows how to reach to his people. I am sure that the men of this artillery group will take the example of this brave Paraguayan soldier and will be deemed worthy of the name their unit carries. At the end of the ceremony, the Paraguayan Army Commandant presented the unit with a portrait of López. 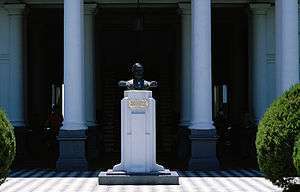 The Paraguayan President's Office is called "Palacio de López" (Lopez's Palace) as it was built by López before the war as his home. However, it was never finished until after the war was over, so he never resided in it. The life of López is the basis for the play Visions by Louis Nowra. ↑ "El Prendedor de Madame Lynch", written by Javier Yubi. ABC Color, (Paraguay) - 12 November 2014 (in Spanish) http://www.abc.com.py/edicion-impresa/politica/el-prendedor-de-madame-lynch-1305271.htmlarticle - It can be read, in the 5th paragraph: “Napoleón III le otorgó la Orden Imperial de la Legión de Honor en el grado de Comendador. En marzo (1854), el rey de Cerdeña le condecoró como Comendador de San Mauricio y San Lázaro. En Roma fue recibido por el secretario de Estado del papa Pío IX, el 12 de abril de 1854, donde recibió la Suprema Orden Ecuestre de la Milicia de Nuestro Señor Jesucristo (Suprema Orden de Cristo)”. ↑ Thomas L. Whigham. "The Paraguayan War: I: Causes and Early Conduct. Lincoln and London: University of Nebraska Press, 2002"
1 2 Hanratty, Dannin M. and Meditz, Sandra W., editors. Paraguay: A Country Study. Washington: GPO for the Library of Congress, 1988. ↑ Shaw, Karl (2005) . Power Mad! [Šílenství mocných] (in Czech). Praha: Metafora. pp. 29–30. ISBN 80-7359-002-6. ↑ "Historical list". ABC Digital. ↑ "Gallery". Vicepresidency of Paraguay. ↑ Vasconsellos, Victor N. Resumen de Historia del Paraguay. Delimitaciones Territoriales’’, Industria Grafica Comuneros S.A. Asunción, Paraguay, 1970. Page 107. 1 2 3 Vasconsellos. Page 108. ↑ Washburn,Charles A. "History of Paraguay" Lee and Shepard, Publishers. 1871. Vol II Page 9. ↑ "Tratado Secreto de la Triple Alianza". Retrieved 27 September 2009. ↑ Shaw, Karl (2005) . Power Mad! [Šílenství mocných] (in Czech). Praha: Metafora. pp. 11–12. ISBN 80-7359-002-6. ↑ Bareiro Saguier, Ruben; Villagra Marsal, Carlos. Testimonios de la Guerra Grande. Muerte del Mariscal López. Tomo I, Editorial Servilibro. Asuncion, Paraguay, 2007. Page 66. ↑ Bareiro. Page 68, 80. ↑ Bareiro. Page 70, 82, 98. ↑ Eduardo Galeano, Open Veins of Latin America, Monthly Review Press, New York, 1973, 1997, pp 188–189. 1 2 Bareiro. Page 85. 1 2 3 "Bautizan unidad militar Argentina en honor al prócer paraguayo Mariscal Francisco Solano López". Retrieved 27 October 2009. Bray, Arturo (1984). Solano López: soldado de la gloria y del infortunio (in Spanish) (3 ed.). Asunción: Carlos Schauman Editor. Graham, Robert Bontine Cunninghame (1933). Portrait of a dictator. London: William Heinemann. Leuchars, Chris (2002). To the bitter end: Paraguay and the War of the Triple Alliance. Westport, Connecticut: Greenwood Press. ISBN 0-313-32365-8. Munro, Dana Gardner (1960). The Latin American Republics: A History (3 ed.). New York: Appleton-Century-Crofts. Raine, Philip (1956). 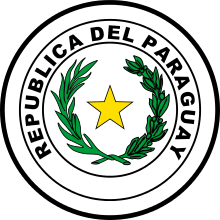 Paraguay. New Brunswick, New Jersey: Scarecrow Press. Saeger, James Schofield (2007). Francisco Solano López and the Ruination of Paraguay: Honor and Egocentrism. Lanham, Maryland: Rowman & Littlefield Publishers. ISBN 978-0-7425-3754-5. Whigham, Thomas L. (2002). The Paraguayan War: Causes and early conduct. 1. Lincoln, Nebraska: University of Nebraska Press. ISBN 978-0-8032-4786-4. García Mellid, Atilio (1959). Proceso a los Falsificadores de la Historia del Paraguay (in Spanish) (1 ed.). Buenos Aires: Ediciones Theoria. McMahon, Martin T. (1870). Paraguay and Her Enemies: and Other Texts Regarding the Paraguayan War (1 ed.). New York: Harper's New Monthly Magazine. Wikimedia Commons has media related to Francisco Solano López.